The Maps tab displays your active properties by their location. You can elect to filter your properties by Status, Client, Inspector, or any combination of these criterion. The Inspector filter is an especially useful tool, as Inspectors can use it to view locations of the homes they are assigned to and plan visits accordingly, minimizing distance between locations. 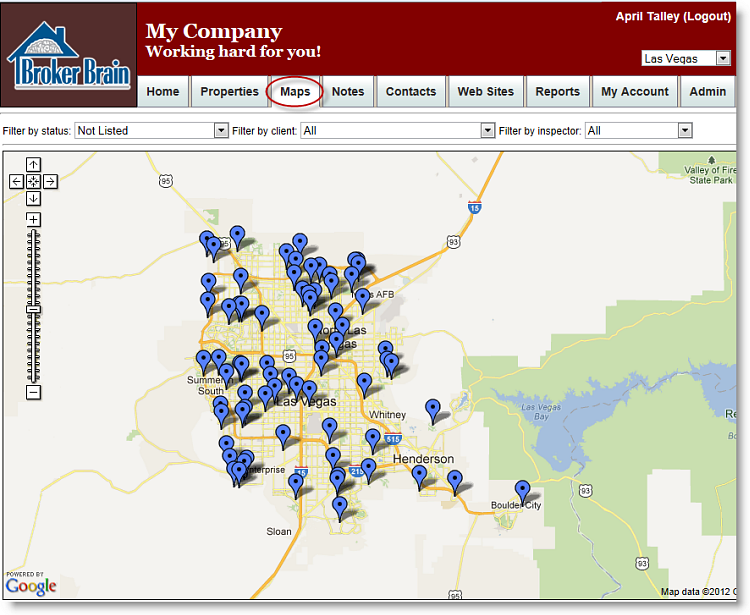 When you initially open the Maps tab, you will see all of your active properties on the map, as shown below. If you have access to multiple markets, you will want to select the market you wish to view, as the map may not be able to display all of your properties. 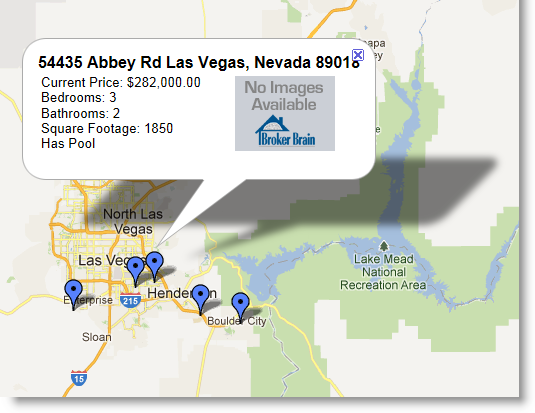 As shown above, each active property will display on the map as a blue tag. To view property information, simply click on a tag. A popup will appear, containing the property address along with other pertinent property information, as shown in the screen shot below. To close the tag, use one of three methods: click the X in the upper right-hand corner of the pop-up, click on a new tag, or click elsewhere on the map, away from any tags. Directly above the map, you will see three filter options (shown highlighted in yellow below). You can filter the properties shown by clicking the drop-down arrow adjacent to any one of these filters and making a selection. 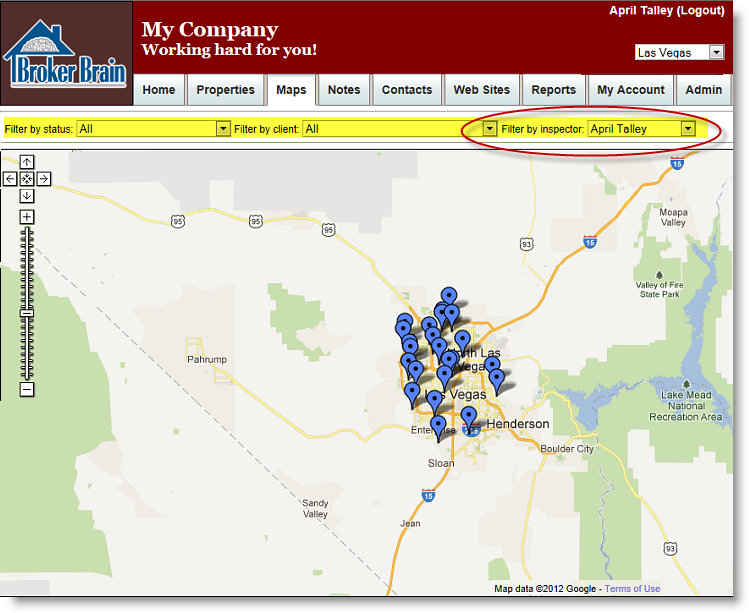 The map can be filtered by property status, client, Inspector, or any combination of the three. As indicated by the red circle, our map below was filtered using the Inspector field. At the left end of the map is a zoom bar. You can use the + and -- buttons to zoom in and out on the map, and the arrow buttons to move the map around. You can also click and drag the map to move it.